I would like you to find an image that relates to the subject area; science, scientist, biology, chemistry, ecosystems, or astronomy. It is important that we respect copyright laws, therefore you may wish to visit Creative Commons or Flickr Creative Commons to retrieve your image. 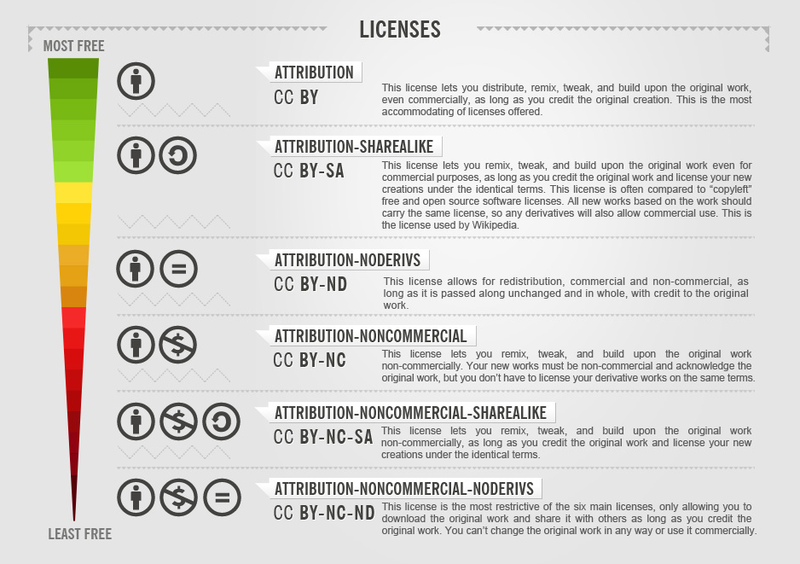 The images you select should have an Attribution License; please see the info graphic below for more details. If you have any questions regarding how to search for the license attached to an image please ask for help. Once you have found an image you wish to use, complete your individual Google Document, "An Introduction to Science." This will include pasting the image, including the image URL, and providing your detailed explanation. Step 2: Share the image with the class. When you have found an image you wish to share visit the Science 10 Discussion Board (access through this assignment in GoogleClassroom). Use the Click Here to Respond button (Yellow on the top right) to insert a row to input your information on. Unfortunately, we are unable to insert images into the GoogleSheet. For now, until we learn how to properly cite an image, giving attribution to the creator, please copy and paste the URL link of the location you retrieved the image from immediately under the image. Of course if you know how to cite an image please do so. Step 3: Describe the image. In the next column on the Discussion Board, describe the image and the connections you made with your choice of the image. In a minimum of 5 sentences describe how the image has made an impression on you; do not forget to explain how it relates to the subject areas of the course. Once you have shared your image and explanation in the discussion forum take the time to click on URLs posted by other students and read what they have shared. We would like you to comment on a minimum of three posts made by your peers. By making thoughtful comments on images shared by your peers you will begin to build a community.